Having secured the rights to Walter Isaacson’s biography of the late Apple co-founder Steve Jobs, Sony is reportedly working to secure Aaron Sorkin – screenwriter of Sony’s hit Facebook movie ‘Social Network’ – to pen the biopic of the former Apple CEO and Pixar executive, Slashfilm reports. The popular film blog learned of the negotiations via a LA Times report, which said that the writer was considering the prospect but was yet to make a decision to sign up for the project. As it stands, both Sony and Sorkin’s representative have declined to comment on the matter. Sorkin is seen to be the ideal person to undertake a project that would chronicle the former Apple leader’s life and roles with the company, having previously written for both the ‘Social Network’ and ‘Moneyball’ movies, which center around smart but notoriously difficult figures. The Social Network writer may also feel a connection with the movie after it was revealed that he was personally asked by Steve Jobs to write a movie for the animated movie studio Pixar. Sorkin declined, stating that he couldn’t “make inanimate objects talk”, but may be more willing to look at helping bring out the of realities included in Isaacson’s biography, which went on sale on Monday and is already number one in Amazon’s bestseller chart. Sorkin is said to be just “one of the writers being courted by producers” but is very high on the list of the studio’s wishlist according to a source that has been briefed on the project. Jobs has previously been played by Noah Wylie in the TV movie Pirates of Silicon Valley. 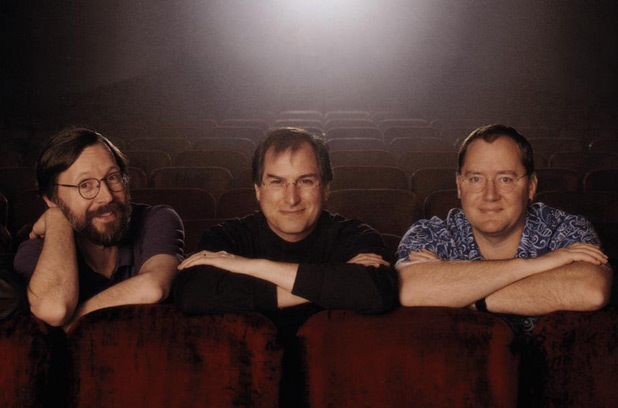 Jobs liked his portrayal so much that he invited him to reprise his role at Macworld New York in 1999.